Today we bring you our first look at this year's release of the "Iron" Nike SB Dunk Low. One of the most classic SB Dunk High ever will be making a return this year in the form of a SB Dunk Low. Known as the "Irons," SB heads will rejoice once they hear of this upcoming release. And this is no slightly tweaked re-make, materials are on point and so is the colorway. Creating the "Iron" color scheme, grey suede is seen working most of the upper, along with varsity royal on the Suede Swoosh, heel badge and tongue lining. White covers the laces, while grey continues on the midsole, coming together with a gum outsole below. 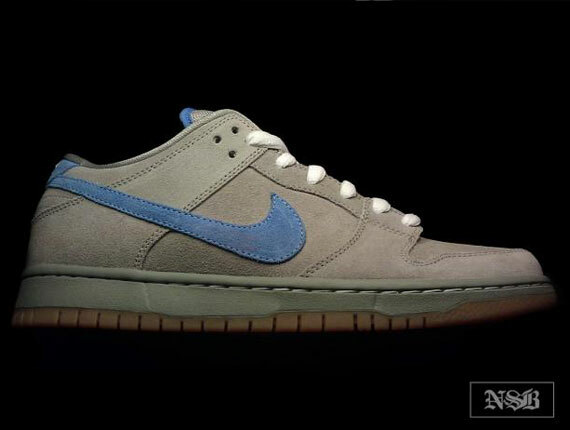 The"Iron" Nike SB Dunk Low is expected to release sometime in the Fall of 2011. Keep it locked to Sole Collector for a closer look and further release information.